Whether you’re a new or seasoned believer, a Bible study offers some of the choice elements that make up a believer’s walk on earth. There’s community and fellowship, communication and study of Scripture, and the lifeline of faith: encouragement. As a sophomore in college, I’ve been able to participate in a few different Bible studies, and I can confirm that they are worth the time of day. During my short time in college, I’ve gleaned a few fundamentals that can make the experience more fulfilling. I’ve also made mistakes that I think can become common to Bible studies, but are easily remedied. If you’re new to the Bible study world, no worries. This post is exactly for you. As a for the savvy vets, there might be a few reminders to glance at once more. 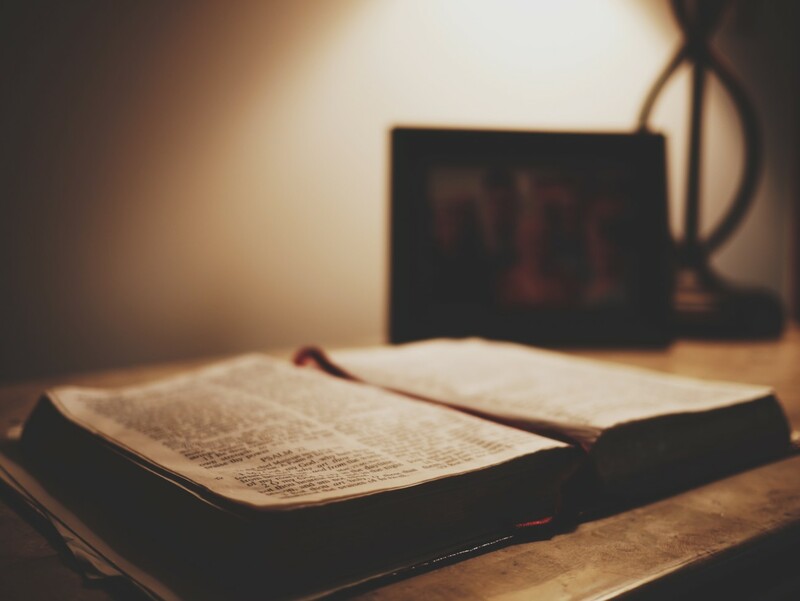 Usually, there is some sort of leadership in a small group or Bible study who will designate the portions of Scripture or book that you will be reading. If you are assigned a reading to complete between Bible study sessions, take the time to read carefully. Skimming sections will drain your drive to gain deeper intimacy with Christ, which is the object of Bible studies in the first place. If you invest yourself in reading the assigned sections of the Bible or book you’re going over, you will notice that digging into Scripture or other Christian materials is worth the time and patience. After going over the reading once or twice, get out a writing pad and throw a few notes and questions down. If you do that, you’ll be engaged when the next section comes around, and that leads to powerful conversation. Everyone believer has their own experiences and insights that can edify everyone in the small group; it’s just a matter of putting in the work. The alternative? If no one reads what they’re supposed to, the next session is spent summarizing the reading rather than getting discussion going. It’s pretty agonizing to take part in a session where no one’s read and everyone is staring at their Bibles with a blank expression. Don’t be that guy. Sometimes, discussion times can turn into those high school classes where no one wants to talk, because they’re afraid of looking stupid. If you’ve fallen into that mindset, just start asking questions, because chances are, the guys around you are not Charles Spurgeon or John Calvin, and that means they probably have the same questions you do—whether it’s something you don’t understand or a point you want to raise. There’s nothing better when someone in the group asks a solid question that gets everyone going. This is difficult for me to say as a Pittsburgh Steelers fan, but a good question in a Bible study is like a pre-game speech by former Baltimore Ravens linebacker Ray Lewis: everyone starts feeling good and wants a piece of the action. Before you know it, everyone will be jockeying to ask questions, and thus, you’ve got yourself a Bible study. In Bible studies, you’ll meet some of the most unique and profound Christians, and if you come with open ears, you’ll be convicted and encouraged. There are times when I’ve left sessions chewing on one statement someone offered, feeling as if I’ve been nailed to a wall. That’s what we need at times: allowing the Holy Spirit to speak truth into our lives through the insights of others, even if they seem unrelated to us. Bible studies in college often have a mix of under and upper-classmen, and there is your chance to either be mentored or become one yourself. There are some guys who will naturally become father figures when it comes to the development of your faith, so take advantage of that opportunity. Frankly, young Christian males all want to appear theologically informed and have the most convicting, profound observations in the group. That’s a good mindset if we think back to investing ourselves in our reading, but it can go wayward if it’s steeped in pride. If you’re speaking out of a desire to be self-glorified, you will soon find yourself spewing out clichés and taking up an inordinate amount of time with your quasi-sermon. No one is going to listen to the guy who fancies himself a second-generation John Piper or Tim Keller. Again, don’t be that guy. Moral of the story: check yourself and your pride before you speak. Bible studies are about individuals coming together to form a community of believers, no matter the numbers. Interacting with other believers your age is satisfying, and it opens the door to friendships. With that level of communion in place, you’re going to have a group that will hold you accountable, as well as pick your head up when rough patches appear. Plus, a lot of Bible studies will do things outside of discussion groups to foster community. Events like playing pick-up basketball or having a meal together can be just as effective when it comes to learning and growing in Christ. I’ve made all of the mistakes mentioned in this article, and chances are you will as well. On the other hand, so will everyone else. It’s the sting of growing pains, but if you keep your eyes on community and Christ, you’ll learn and grow more in your faith than you ever expected. Kevin Cochrane is a writer and student at Geneva College. He's also an avid hockey fan, runner, and reader of military history. Follow him on Twitter @kev_cochrane to receive the latest updates on his posts.